There is a rise of interest in developing artificial intelligence-based tools to address challenges in various security domains, e.g., protecting critical infrastructure and cyber network and protecting wildlife, fishery, and forest. Motivated by these challenges, we have proposed game theory and machine learning based models and algorithms that provide descriptive, predictive and prescriptive analysis for problems with strategic interactions among agents and data available to some of the agents. The algorithms have led to several applications deployed in the field for protecting the Staten Island Ferry in New York City, for poaching threat tracking and prediction in Africa, and for tiger conservation in Southeast Asia. In addition to an introduction to these algorithms, we will also highlight our most recent advances in integrating deep learning with game theory, with applications to security domains. 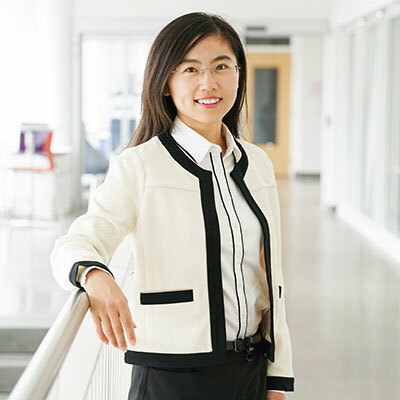 Fei Fang is an Assistant Professor at the Institute for Software Research at Carnegie Mellon University. Before joining CMU, she was a Postdoctoral Fellow at the Center for Research on Computation and Society (CRCS) at Harvard University. She received her Ph.D. from the Department of Computer Science at the University of Southern California in June 2016. She received her bachelor degree from the Department of Electronic Engineering, Tsinghua University in July 2011. Her research lies in the field of artificial intelligence and multi-agent systems, focusing on data-aware game theory and mechanism design with applications to security, sustainability, and mobility domains. Her dissertation is selected as the runner-up for IFAAMAS-16 Victor Lesser Distinguished Dissertation Award, and is selected to be the winner of the William F. Ballhaus, Jr. Prize for Excellence in Graduate Engineering Research as well as the Best Dissertation Award in Computer Science at the University of Southern California. Her work has won the Innovative Application Award at Innovative Applications of Artificial Intelligence (IAAI’16), the Outstanding Paper Award in Computational Sustainability Track at the International Joint Conferences on Artificial Intelligence (IJCAI’15). Her work has been deployed by the US Coast Guard for protecting the Staten Island Ferry in New York City since April 2013. Her work has led to the deployment of PAWS (Protection Assistant for Wildlife Security) in multiple conservation areas around the world, which provides predictive and prescriptive analysis for anti-poaching effort.